Our administrators are deeply committed to the Montessori philosophy and to a place for it within public education. Jennifer Stockmeyer is thrilled to join Bennett Park Montessori Center #32 as the principal. It is both an honor and a privilege for her to lead this dedicated group of learners. 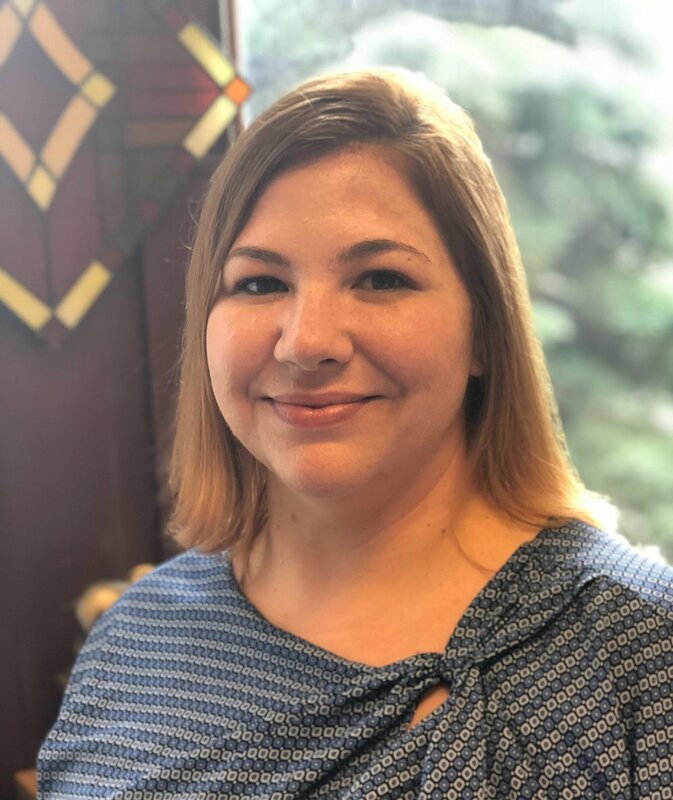 Jenn is a lifelong resident of Western New York, attending Amherst Central Schools from kindergarten through twelfth grade. This is her fourteenth year as an educator with the Buffalo Public Schools. Beginning as a special education teacher, she taught first, second and fourth grade at ECC #61. She became the literacy specialist at D’Youville Porter Campus School #3 in 2009. Her next opportunity was as a special education school improvement specialist, where she worked closely with several Buffalo schools to help improve the educational outcomes. Her administrative experience includes assistant principal at Hamlin Park School #74 and Olmsted School #64. From 2016 until recently she was assigned as the assistant principal, then temporary principal at School #48, where she developed the program for students in grades prekindergarten to grade two. Jenn believes in the development of the whole child. She believes that through the active engagement of each child’s innate curiosity and love for learning, independence and self-reliance will occur. She has worked with these guiding commitments for years and is currently beginning to pursue her formal Montessori training. Through all of her amazing experiences with the Buffalo Public Schools, Jenn is humbled by the commitment of our students, teachers, and families. She lives in North Buffalo with her husband, five daughters, and her beagle, Diego. Jenn enjoys spending time with her family, gardening, baking hiking, and challenging herself to grow as a learner. It is her belief that “Education is a natural process carried out by the child and is not acquired by listening to words but by experiences in the environment" (Maria Montessori). Jennifer can be contacted at jstockmeyer@buffaloschools.org. Pete Gottfried first started as a parent at Bennett Park Montessori. His children, Peter and Hayley, both attended Bennett Park through grade 8 before graduating from Hutch Tech and DaVinci, respectively. Having seen the effects of Montessori education up close, Pete changed careers and pursued Montessori certification, receiving his American Montessori Society credential for both Lower and Upper Elementary (ages 6-12) after attending the Seacoast Center for Education in Portsmouth, New Hampshire. Pete taught three years at the 6-9 level and ten years at the 9-12 level before being named as an Assistant Principal in 2016. He has also lectured and presented for the Seacoast Center for Education. Pete and his wife Charlene live happily in North Buffalo with their two dogs. Their children frequently stop by to see what’s in the fridge. Pete can be contacted at PGottfried@buffaloschools.org. Shannon Thurston is looking forward to an incredible 2018-2019 school year! Shannon attended Southside Elementary and graduated from The Buffalo Academy for Visual and Performing Arts. She then went on to attend Buffalo State College, where she earned a B.S. in Elementary Education along with a M.A. in Educational Leadership. She had the pleasure of being an educator at Dr. Lydia T. Wright School of Excellence for six years, served as an Instructional Coach for three years and this September, begins her third year as a school administrator. Her educational philosophy is based on her uncompromising belief that all students can learn, given a positive learning environment, strong and knowledgeable leadership, a committed and focused educational team, an encouraging community, and a supportive family. Shannon loves to inspire and encourage students to be the best they can be in and out of the classroom! She values feedback, communication, and would be happy to answer questions regarding the school, or the district. Please feel free to contact her at sthurston@buffaloschools.org . Shannon grew up in the city of Buffalo and currently lives in Hamburg with her husband, son and the newest addition, their dog, Maggie Mae. Outside of school, she enjoys reading, cooking and gardening. Shannon is looking forward to getting to know the students and families at Bennett Park Montessori. Information on contacting members of the leadership team.